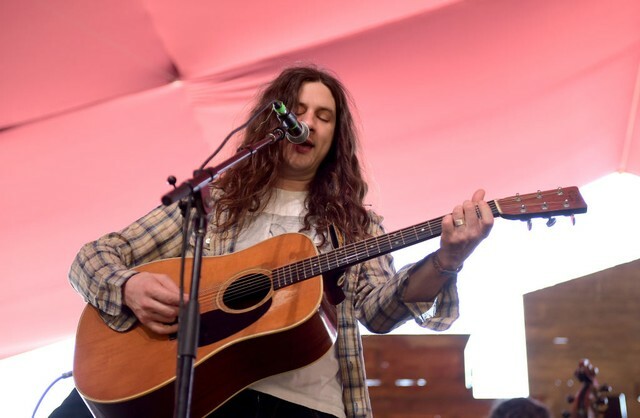 Kurt Vile has released a new set of Spotify Singles. It includes a solo version of his single “Loading Zones” from his 2018 LP Bottle It In, featuring Vile on harmonica, and a cover of the Rolling Stones’ Beggars Banquet track “No Expectations,” which features additional support from a drum machine and keyboard. Vile has also posted some new North American dates on his current world tour, slated for July and August. He’ll be playing several shows with J. Mascis and Cate Le Bon, and one date (New York City) with both Dinosaur Jr. and Le Bon. Earlier this year, Kurt Vile released a new original song via the Amazon Originals series, “Timing Is Everything (And I’m Falling Behind),” marking his first new release since Bottle It In, which came out in October of last year. Read our 2018 profile of Vile, “There’s Something Funny About Kurt Vile,” here. Check out the Spotify version of “Loading Zones” and the “No Expectations” cover, as well as Vile’s new tour dates, below. $ denotes w/ Dinosaur Jr.